The HP Color LaserJet 2550L performs as a monochrome printer quite well considering its age, but as a color laser printing device its 4 page per minute maximum print speed is no longer acceptable in any sort of business environment. With color laser printers five and ten times as fast available at fairly reasonable cost, this aging dinosaur is all but obsolete. The HP Color LaserJet 2550L’s maximum monthly duty cycle of 30,000 pages is respectable, as well as its ability to print in color. If one were to overlook the painfully slow color print speed of the unit, the device would even be comparable to the color laser devices currently on the market. Unfortunately, most businesses require the maximum amount of return for their investment, and 4 pages per minute is not acceptable. 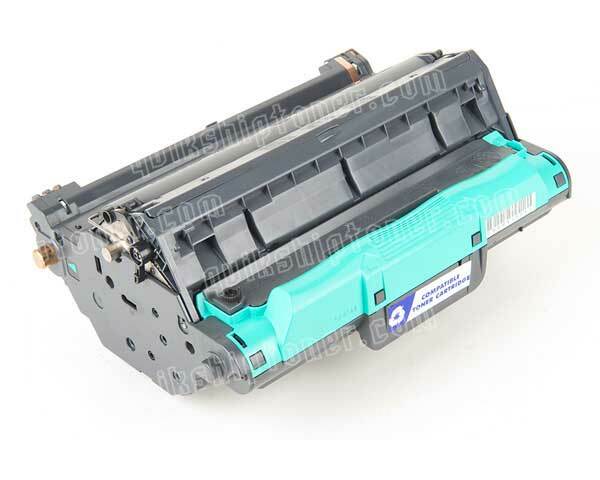 The 64 MBs of included RAM partially explains the sluggish nature of the HP Color LaserJet 2550L, but it is expandable up to 192 MBs via SDRAM technology and a single 100 pin DIMM slot that allows for additional memory to be added. Additional memory is highly recommended for color laser printers due to the tendency to print detailed imagery while using them, though, ultimately, this device will never operate at a competitive print speed. With such a sluggish color print speed, the HP Color LaserJet 2550L is one of the slowest color printers ever created. It is also quite large considering its abilities and comes with dimensions of 19 in. x 17.8 in. x 12.8 in. (W x D x H) and a total curb weight of 47.8 lbs. 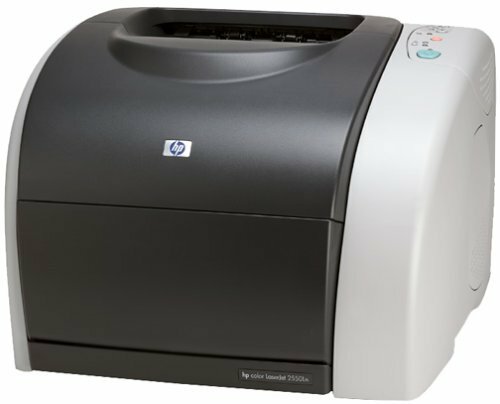 Color laser printers you will find currently on the shelves are not only much faster, but also considerably smaller than first generation devices such as this. One of the main draws of a color laser printer is its ability to print in photographic color, but the HP Color LaserJet 2550L has a maximum print resolution of only 600 x 600 dots per inch for both color and black and white, severely limiting its abilities to print detailed imagery. HP’s ImageREt 2400 resolution enhancement technology can help increase print quality to a degree, but will cause even more slowdown upon printing. The black and white print speed of 19 pages per minute, while not terrible, is at least slightly disappointing. Connectivity options include both USB and Parallel ports, but neither are high speed, meaning communication with a host PC will be slow. Review it: "HP Color LaserJet 2550L "
Much like almost all color laser printers, the HP Color LaserJet 2550L relies on a four cartridge system to produce its output. The four cartridges come in the colors black, cyan, magenta, and yellow. 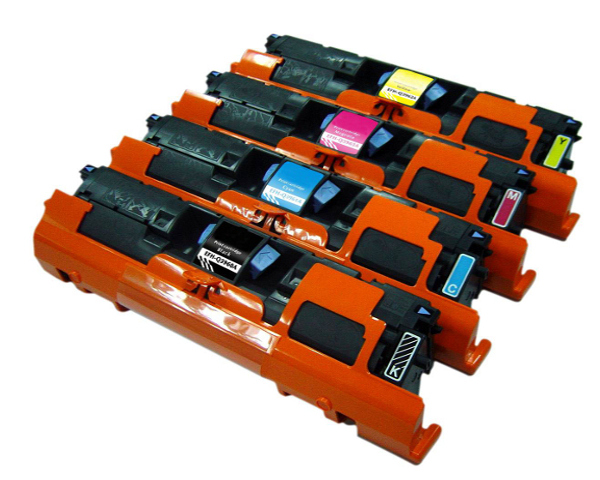 Each individual color cartridge can produce up to 4,000 pages of yield, excluding the black cartridge which is capable of up to 5,000 pages at 5% coverage. The HP Color LaserJet 2550L also uses a large, single drum unit that houses the four color cartridges. While the drum unit is a little bit costly, its 20,000 page yield ensures that replacement cycles will remain long.